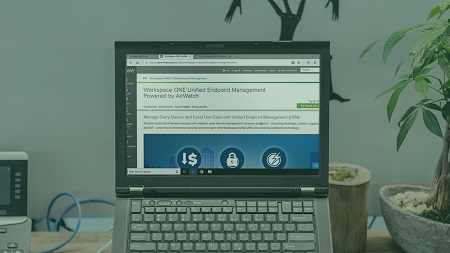 Today's Workspace ONE, powered by AirWatch, arrives as a combination of several different products: VMware Identity Manager, VMware Unified Endpoint Management, and in some cases, VMware Horizon. These very different solutions mean that any AirWatch implementation begins first with a series of integrations. In this second course out of five, VMware Workspace ONE: Create a Tenant and Integrate Identity Providers, you'll create your first Workspace ONE tenant in the cloud. First, you'll explore the various interfaces that configure Identity Manager and Workspace ONE UEM. Next, you'll create and configure your first directory in Identity Manager and prepare Identity Manager for integration with Workspace ONE UEM. Finally, you'll install UEM's on-premises component, the AirWatch Cloud Connector, and integrate your on-premises Active Directory with UEM and UEM with Identity Manager. By the end of this course, you'll be able to integrate Identity Manager with Workspace ONE UEM and then Workspace ONE UEM with on-premises Active Directory.